From a sports perspective, I am not sorry to see 2018 exit the Main Stage. The Yankees were the most successful of my favorite professional teams during the year, making the ALDS before bowing out to the eventual World Series champions (who shall remain nameless). My football season came to end with a thud yesterday when the Minnesota Vikings, controllers of their own destiny, could not close the deal with the Chicago Bears, losing 24-10, and allowing the defending Super Bowl champion Philadelphia Eagles to slide into the playoffs in their place. I know, please feel free to insert your best Kirk Cousins jokes. I am sure Tommy Kahnle…and Mike Trout…are very happy today. If you are a Giants or Jets fan, I am sure that you share my misery this morning although you have much better draft position. Nevertheless, this is a Yankees blog so let’s talk baseball. In March 2014, the Los Angeles Angels did the right thing and signed Superstar outfielder Mike Trout to a six-year, $144.5 million contract. Trout opted to sign the extension early, thereby skipping his arbitration-eligible years which would have left him eligible for free agency this off-season to join Manny Machado and Bryce Harper in the battle for $300 million contracts. Instead, he’ll gladly accept $34.083 million per year for the next two seasons before hitting the open market after the 2020 season. 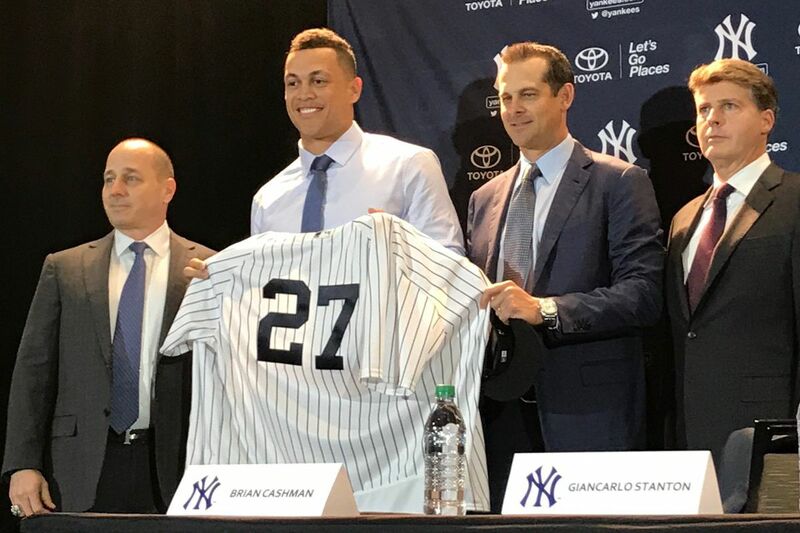 I mention this not for the reason the Yankees should eyeball Trout’s future free agency, but rather they should follow suit and offer the same kind of deal to Aaron Judge, the face of the Yankees franchise. I know Judge is under team control for one more year and begins the arbitration phase in 2020, but I’d like to see the Yankees take care of him. TGP’s Daniel Burch did a very nice breakdown of team salaries this weekend to show the Yankees can afford both Manny Machado and Bryce Harper. Honestly, I’d rather see more dollars go to Judge. Sure, I hope the Yankees can sign either Machado or Harper but they don’t need both regardless of whether or not they can afford it (they can, as Daniel so elegantly illustrated). Making Aaron Judge play for barely more than “minimum” wage is wrong. Okay, the $622,300 he made last year is far more than most of us will make in any given year, but there’s something awful in a World where Judge makes less than 3% of the annual compensation provided to the bag of dead weight otherwise known as Jacoby Ellsbury. I know it’s the way the system works but Judge has outperformed the majority of his peers and deserves better. 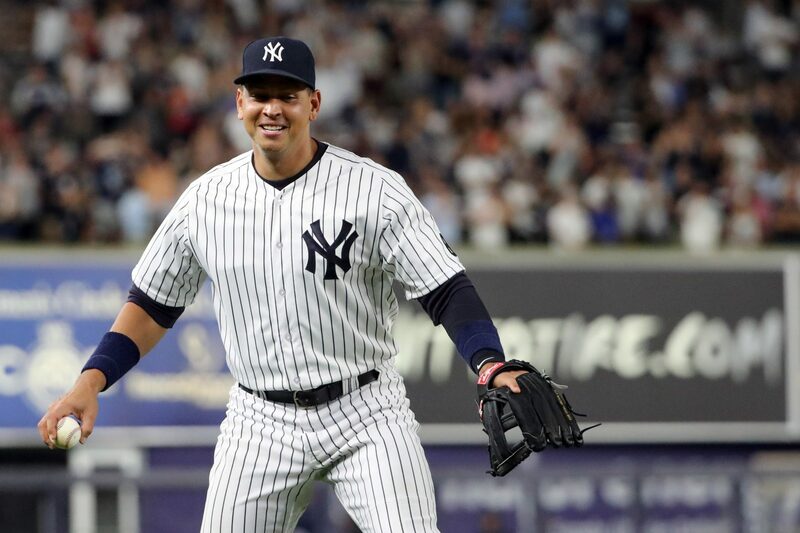 He is already recognized as the unofficial Captain of the team by the Yankees fan base and despite adding other superstar players like Giancarlo Stanton and potentially Machado (or Harper), Judge is arguably the most popular Yankee and will continue to be for the foreseeable future. Hal, PLEASE pay the man. I really thought the Yankees would have added at least one major bullpen arm by year’s end. I guess there’s still some time for it to happen but it’s not looking very promising. I thought “Waiting for Manny” would have been a great time to focus on the pen. It seems like everyone is waiting for Craig Kimbrel to sign before the relief market moves, at least at the upper echelon of arms. I expect once Kimbrel decides where he’ll spend the Summer of ‘19, the pieces will move very quickly. Hopefully the Yankees are prepared to pounce on at least one of David Robertson, Zach Britton or Adam Ottavino. I’d really hate to lose out altogether on those three. The importance of a super-bullpen cannot be understated, particularly for a starting rotation that continues to carry so many questions. Even the current “sixth man” (Jonathan Loaisiga) has health concerns. I like some of the young arms in the system but I want “tried and true” to go with Aroldis Chapman, Dellin Betances, Jonathan Holder and Chad Green. No objections to breaking camp with Stephen Tarpley but we need a strong “closer-in-waiting” as a hedge for Chapman. 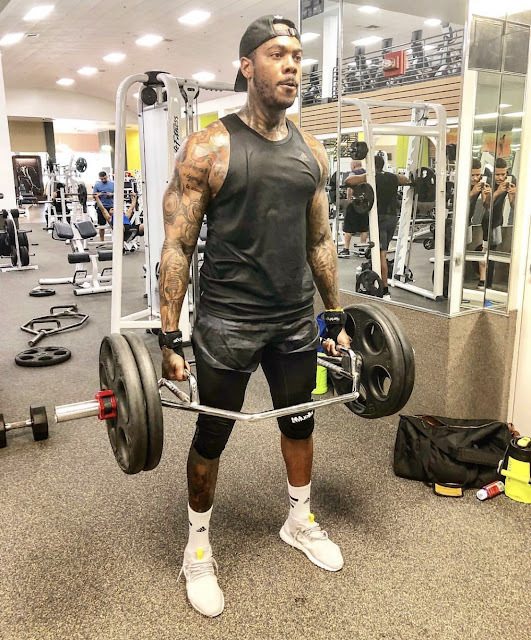 I know Chapman’s workout photos this winter show him in peak condition but after last season, I don’t trust his knee and pitchers, generally-speaking, are fragile. CBS Sports, behind writer Dayn Perry, wrote their 50 MLB predictions for 2019 a few days ago. Surprise, another writer who predicts Manny Machado will be a Yankee. Perry projects Machado to sign the third-most lucrative deal in Major League history behind the free agent contract to be given to Bryce Harper (which, eventually, when it is signed, should rate as the largest) and Giancarlo Stanton. Perry also has the Yankees winning the AL East, on a second consecutive 100-win season, over the Boston Red Sox (the defending champs are projected as a Wild Card team). He sees the Yankees taking the Fall Classic in five games over the Washington Nationals. Perry must be having visions of Pinstripes dancing in his head because he has Luis Severino winning the AL Cy Young Award and CC Sabathia reaching 250 wins and 3,000 strikeouts. Lastly, he projects Mister Underpaid (Aaron Judge) with 44 home runs. I think all of us have envisioned 2019 as “the” year. Glad to see CBS Sports has jumped on the bandwagon. This could be (should be) the week we finally hear about Manny Machado’s long-awaited decision. Even Jim Leyritz (@therealjleyritz) tweeted this yesterday when asked about Machado: "If I was a betting man. I'd say it's all but done. Not sure as I was with Stanton deal last year. Being able to break that news doesn't happen every year. Lol. But from what I've heard. All but the signature is needed. Stay tuned. Would be a good way to ring in the New Year." 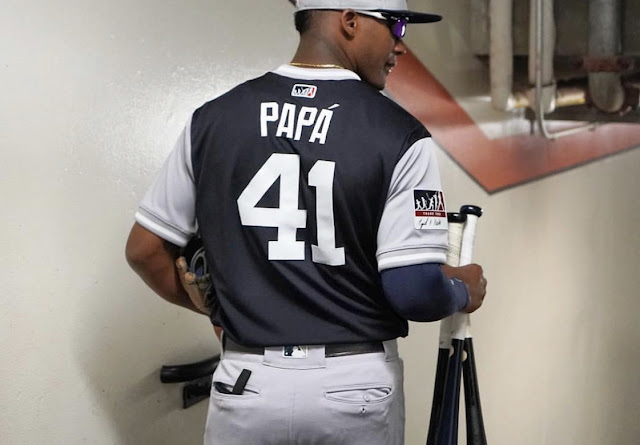 Regardless of what happens, I hope the Yankees retain Miguel Andújar. I don’t see a trade for an elite pitcher between now and spring training. and that’s the only way I could justify moving Andújar. I think the team is better served keeping him on the roster. The guy is a hit machine and can help this team solve its RISP problem. Maybe he’s moved at the trading deadline if the team happens to have another third baseman in place with the initials of MM, but I’d really like to see what Miggy can do in Year 2 of his Bronx story. Let’s mix him in at first base and left field during spring training and see what he is capable of or if Manny decides to go to Philly or Chicago, let Andújar continue to develop at third and work to refine his defensive skills. We’d need to ensure shortstop is strong-defensively until Didi Gregorius returns but let’s quit pushing the ‘trade Andújar’ movement. The Yankees are better with him. 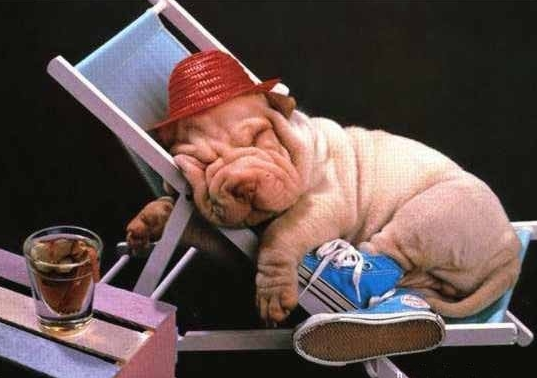 I hope Brian Cashman has enjoyed his “time off”. I know, that’s just what it looks like from the outside looking in. Regardless, I hope the New Year brings a focused GM on a mission to field the best possible team when the regular season opens in a few months. We’re good but we can get so much better. Let’s not miss this opportunity. It’s time to bring a championship back to New York. 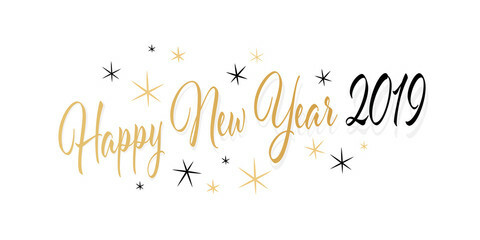 Happy New Year to you, your family and everyone! Well, everyone except the Red Sox...definitely not the Red Sox. 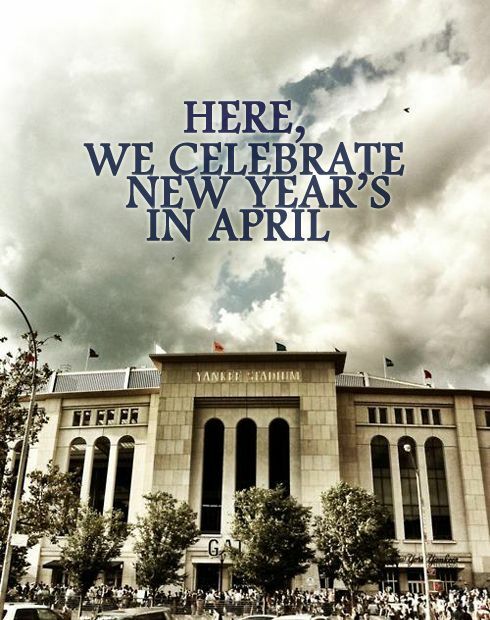 Happy New Year’s Eve to all of my Yankees family. What’s your New Year’s Resolution? I don’t generally believe in making any, but that’s because I believe in being the best you and the you that you want all the time, not because the calendar says so. My only New Year’s Resolution that I could even think to want to fulfill is to marry the love of my life, Kari Ann (soon-to-be) Burch on January 2nd, and spend the rest of the year keeping the promise that I made to her very early on into our relationship… to treat her like the queen that she is so that she can enjoy every day of the rest of our lives in true happiness. What do you think the Yankees resolutions are this year? I’m glad you asked, because I asked them all and recorded their answers for you here (no I didn’t, but I probably didn’t have to tell you that this post was written for fun… but just in case). 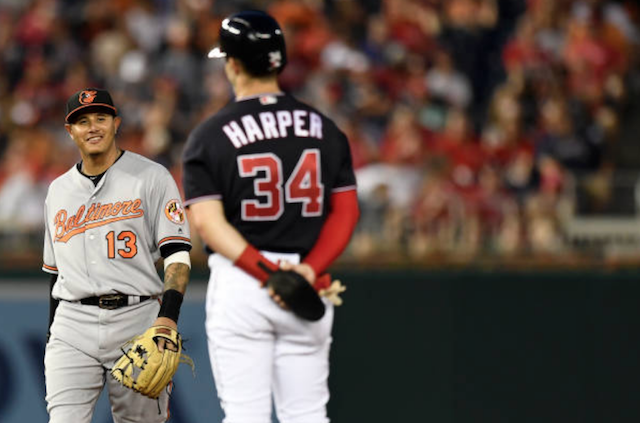 UPDATE: Can the Yankees Afford both Machado and Harper? "Your'e not buying this 'austerity' crap either, are you?" Earlier in the offseason, before any Top 50 free agents were signed and before any major trades had gone down between teams, The Greedy Pinstripes (long before River Ave Blues, Pinstripe Alley and other notable Yankee publications) took a look at how the New York Yankees could not only sign one of Manny Machado or Bryce Harper, but both. Furthermore, we broke it down by the penny, with some help from projections from MLB Trade Rumors and others, to show you that the team could sign both mega free agents AND stay under the luxury tax threshold for the 2019 season. Now that a few moves have been made, a few hefty salaries have been added, and a few trades have been made let’s take a look at if this is still the case for the Bombers. 13-year deal worth $325 million with a full no-trade clause, an opt-out clause after the 2020 season, and a 2028 team option worth $25 million with a $10 million buyout. Stanton also receives $50,000 for each All-Star appearance, Silver Slugger Award and Gold Glove Award. Stanton also receives $100,000 per MVP Award and $500,000 for each World Series MVP Award achieved throughout the contract. If Stanton does not opt-out after the 2020 season the Miami Marlins will retain $30 million in Stanton’s salary. 7-year deal worth $155 million with a full no-trade clause. 7-year deal worth $153 million including a team option for the 2021 season worth $21 million and a $5 million buyout. Ellsbury also contains a full no-trade clause written into his contract. 5-year deal worth $86 million including an $11 million signing bonus paid in equal increments ($2.2 million) annually throughout the length of the contract. Chapman has an opt-out clause after the 2019 season and a full no-trade clause through 2019. 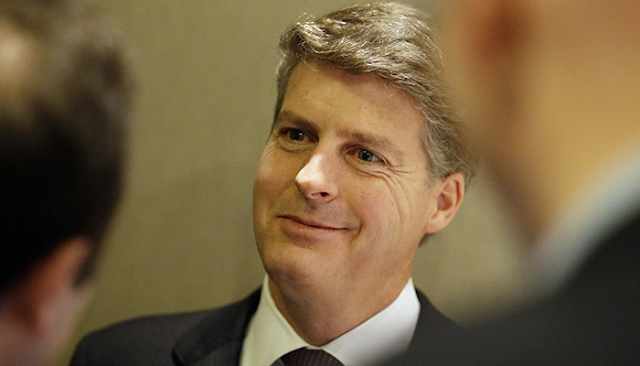 Chapman has a modified no-trade clause for 2020 and 2021 if he does not exercise his opt-our clause that keeps him from being traded to a West Coast team. 2-year deal worth $34 million including a vesting option for 2021 worth $17 million if Happ pitches 165 IP or makes 27 starts in 2020. It is worth mentioning the possibility that the Yankees could, and should in my opinion, move Jacoby Ellsbury and his contract by any means necessary. Ellsbury has two-years left and roughly $43 million, plus the $5 million buyout for the 2021 season, left on his contract. If the Yankees could eat up to half of that to move him, I would call that a victory for New York, regardless of the return. Of course, Ellsbury has a full no-trade clause and would have to accept any trade that the Yankees can come up with, but the likelihood of decreased playing time could force the hand of the $153 million man. Also, there is at least the possibility (I personally find it unlikely and I genuinely hate the idea) of trading Stanton and his mega-contract to a team like the Los Angeles Dodgers who are known to be searching for an impact right-handed bat this offseason to replace Yasiel Puig and Matt Kemp, among others. Unfortunately, we cannot assume that either contracts will be moved this offseason, or throughout the 2019 season. The beautiful thing about the New York Yankees team as it is currently constructed is that the team is young, controllable, and relatively cheap all things considered. The list of pre-arbitration eligible players is impressive when you look at how many core players are listed below. 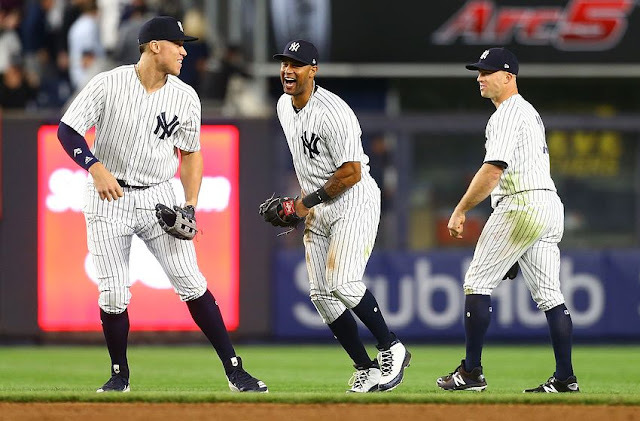 This could get quite expensive for the team really soon, but for now the 2019 financials are given a bit of wiggle room because of the great job that Brian Cashman and company did building the farm system over the last five-to-ten seasons. 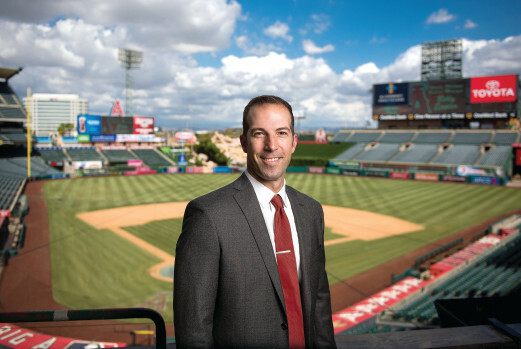 Without waiver options for the Minor Leagues the players without a waiver option by their name cannot be sent down to Triple-A without first clearing waivers and cannot be sent down without their consent. 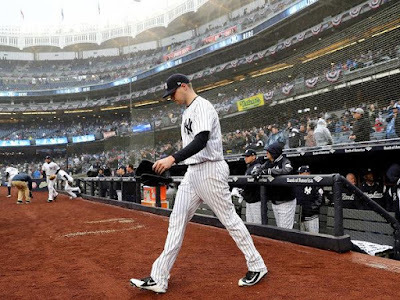 Let’s remember that we can almost guarantee that Sonny Gray and his projected $9.1 million salary will be coming off the Yankees books before the start of the 2019 season. He will be traded, we just don’t know who will take on the Yankees right-hander before Spring Training. Some of these numbers could also be high, remember they are just projections, although at the same time these projections could be a bit low as well. MLB Trade Rumors is usually at least in the neighborhood, but all of these numbers are subject to change. 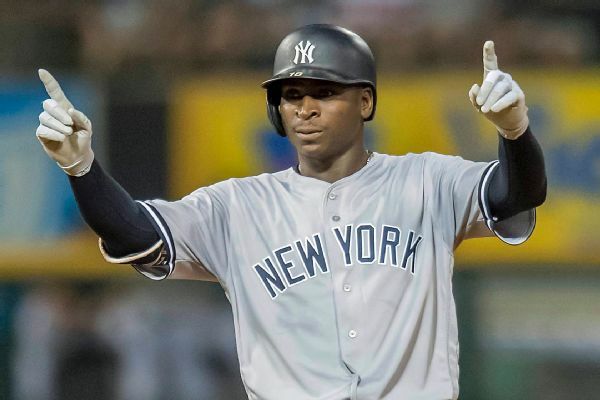 I wonder if Didi Gregorius would be willing to throw the Yankees a bone for the 2019 season given that he will miss most of the season after undergoing Tommy John surgery. I am not saying that I think he will, or that I think he should, but it just seems like something a player like Didi would do. Dellin Betances did it for the Yankees on more than one occasion and it just wouldn’t surprise me to see Didi do something similar as well. For those unclear about the arbitration rules, any player who is arbitration three or arbitration four will become free agents at the end of this season. 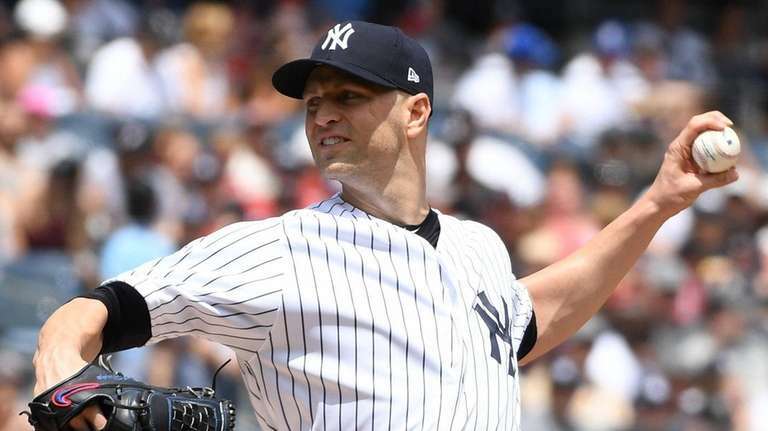 Tommy Kahnle can hit free agency after the 2020 season while the Yankees have at least two more seasons of team control on Greg Bird and Luis Severino. "Hell no, I'm not buying that. They gonna pay us!" This part of the equation is the total unknown of the whole discussion. 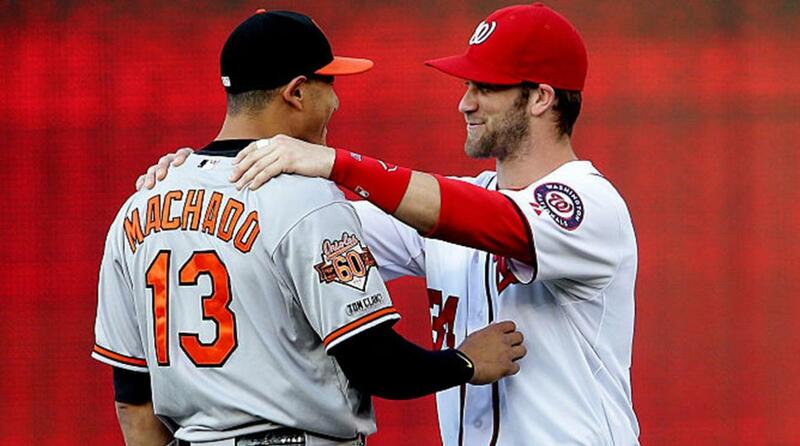 No one knows what both Machado and Harper will sign for. No one knows what the New York Yankees, Philadelphia Phillies, and Chicago White Sox were willing to offer Machado, much like no one knows what a team like the Los Angeles Dodgers could offer to an outfielder like Bryce. 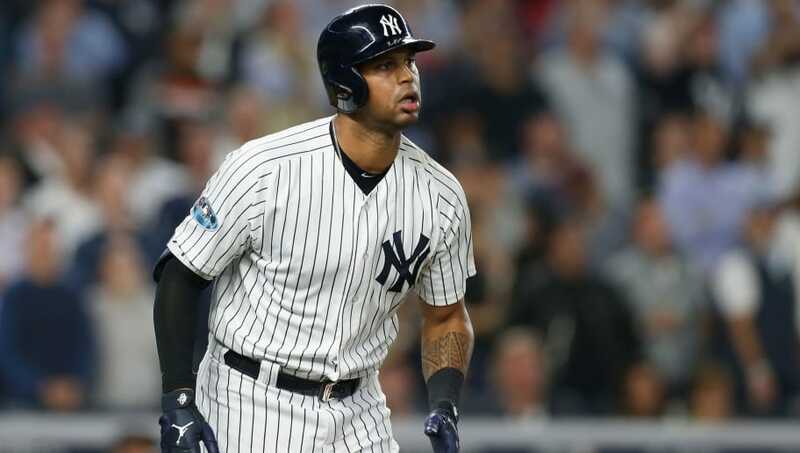 Would either be willing to take less in terms of years and more in terms of salary to sign with the Yankees, thus hitting the free agency market again at or around age 30? Nobody knows, probably not even Bryce or Manny themselves at this point, that’s why we will use the MLBTR projections and go from there as both of these contracts and their negotiations develop and become public record. It is worth mention, though, that reports have stated that the Phillies were less-than-enthused about going to ten-years for Machado, so a 13-year contract seems extremely unlikely. The $30 million AAV seems pretty realistic, though. Why in the world is this team still paying Alex Rodriguez? "You take less, I'll take less. Deal?" Let’s reiterate that these numbers include the projections given by MLB Trade Rumors for the Yankees arbitration eligible players as well as both Manny Machado and Bryce Harper. These are unknowns that cannot be quantified today, these numbers could be higher or lower. 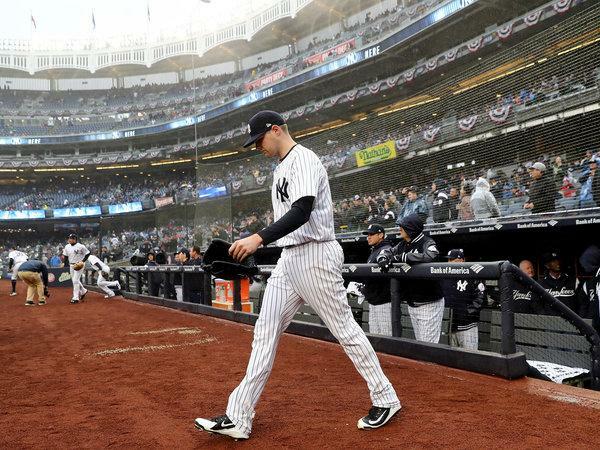 These numbers also include the salaries of players like Sonny Gray, Jacoby Ellsbury, Giancarlo Stanton and others who could, however unlikely, be moved by Brian Cashman this winter and throughout the 2019 season. Eating half of Jacoby Ellsbury’s salary (let’s say $12 million for an even number sake) in a trade and trading away Sonny Gray’s $9 million in projected salary alone nets you an extra $21 million to give to Manny Machado. Given that the Yankees are roughly $15 million under the luxury tax as it stands, according to the above, that is $35 million annually that they could give Machado while still staying under the luxury tax threshold. Trading Stanton gives the Yankees at least $26 million to hand to Harper via free agency before going over the luxury tax threshold. For those keeping track at home, the Yankees could potentially clear $61 million following this plan while giving $60 million of it to both Harper and Machado. "Deal, bro, now let's hug it out. See you in the Bronx!" Ask yourself this. If the Boston Red Sox were sitting right on the line of the luxury tax would they trade an immense talent like Giancarlo Stanton to make room for Bryce Harper? I think not. Ask yourself this as well, would the Red Sox simply keep Stanton and not sign Harper because of the potential luxury tax threshold penalty? Hell no, so why should the Yankees? On October 31st the Yankees and Brett Gardner agreed to a one-year contract for 2019, and many Yankees fans lost their minds. And while they did so in many ways, the one way that sticks with me is those fans saying Gardner would be the starting left fielder next season. Particularly the starter instead of Bryce Harper. Now, I know some Yankees fans (and sports fans in general) can have short-term memory loss, but all the evidence you need in order to understand that the whole "Gardner starting in left field in 2019) is bullocks can be seen late last season. Not years ago, but on September 1st of this past year. September 1st marked the first game Andrew McCutchen would start for the Yankees. That also happened to be his first of 25 games started out of the Yankees remaining 26 in the regular season. 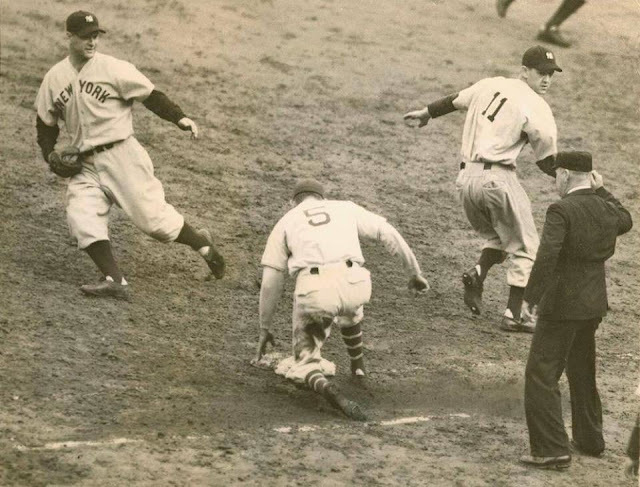 Oh, and McCutchen started four of the six games the Yankees played on the postseason. Why did I tell you all of that about Cutch? Because Bryce Harper is a hell of a lot better than Andrew McCutchen! It's simple logic. If Andrew McCutchen started over Brett Gardner during a postseason race and run last season, then Brett Gardner is not going to be picked to start over Bryce Harper next season. That isn't to say I believe the Yankees will sign Bryce. I think they should, but I pretty much have that thought covered. It's just to say that the Yankees surely have other plans for their regular starter in left field. As Daniel pointed out this morning I did mention Clint Frazier as a starting candidate in left, but due to his concussion issues I'd bet that he'd begin the year in AAA to make sure he's good to go. 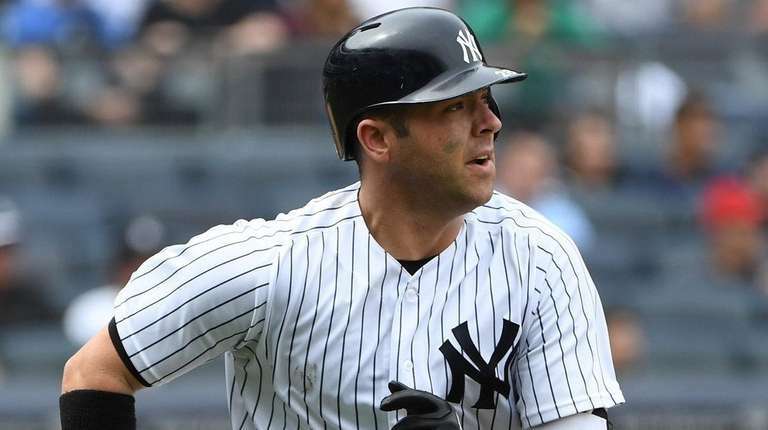 And while Harper is not off the table (I won't count him out until he signs somewhere else), my prediction is that the Yankees bring in someone to start regularly in left field for Opening Day and beyond. Sort of like how they have to figure something out to cover for Didi Gregorius possibly being out the entire 2019 season. I mean no disrespect to Gardy. I really like the guy, and appreciate everything he's done for the Yankees. But we have to face the fact that he's an overall average player, and that isn't going to cut it in New York. 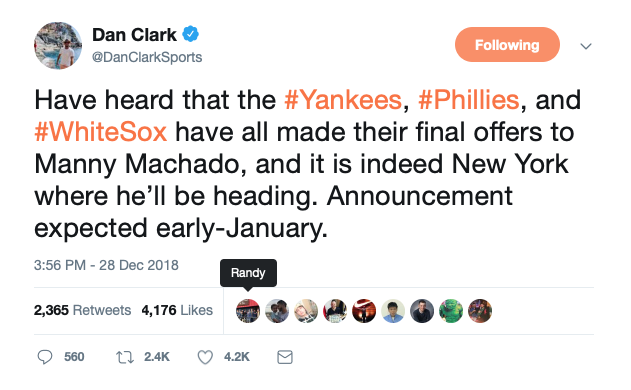 Dan Clark, an Orioles blogger from Australia, caused quite a stir yesterday afternoon when he tweeted Manny Machado is headed for New York. According to Clark, he trusts his source and stands behind his words. Ultimately, nobody really knows until Manny signs his name on the dotted line. 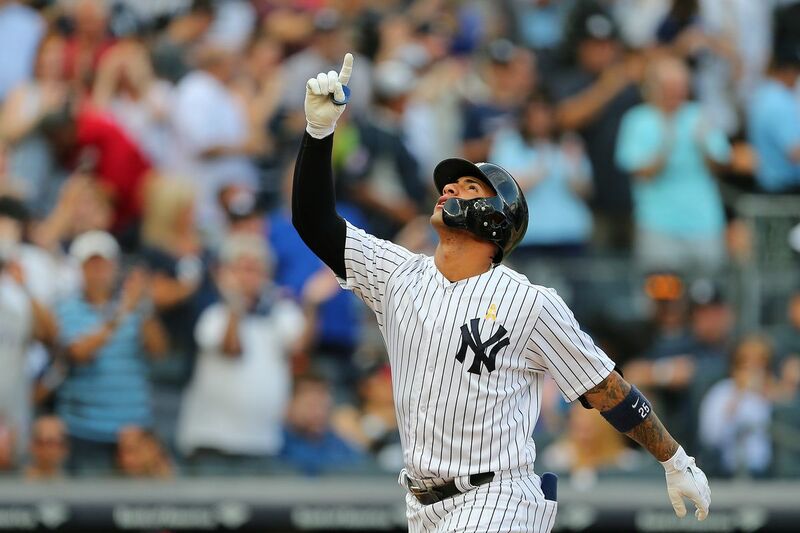 He may want to be a Yankee as we’ve often heard and he may feel today the Yankees are his team but until the final decision is made and the agreement is in place, Manny is free to change his mind. I continue to hope Manny signs with the Yankees but honestly it continues to be my opinion that he’ll take the most money which will probably not be the Yankees regardless of how much he may have loved the team as a kid. My hope is the Yankees make their final offer close enough that it causes Manny to accept slightly less to wear the Pinstripes. But if it is a wide gap, the Yankees had better enact Plan B immediately. I feel bad for Clark. He has taken so much heat for his comments and people are attacking his credibility. In my opinion, that’s not fair. Does having “credentials” make a guy like Joel Sherman a better human being? No, I don’t think so. Clark has friendships with the Orioles and he is more connected to the inner workings of that organization than most Yankee insiders. I place some value in Clark’s message, but I recognize to blindly trust the words until proven correct is foolish. If he is right, great. I look forward to the introduction of Manny Machado at Yankee Stadium. If he is wrong, the world goes on and we wait for the development of Plan B to cover for the temporary loss of Didi Gregorius next season. I won’t think any less of Clark if he is proven wrong. He has expressed an opinion which is his right. He has the basis of sources that he trusts. We don’t know his sources but it’s not a reason to invalidate Clark’s words. I support his right to say whatever he wants about the Yankees or Orioles or any other team. He believes the words, right or wrong, and that’s all that really matters. As for Machado, the Yankee fan base seems so divided over the young superstar. I know that he failed to deliver a World Series championship for the Los Angeles Dodgers and we all know about the infamous “Johnny Hustle” comments, but last time I checked, the Red Sox rolled over all their competition last season, not just Machado’s Dodgers. I don’t blame Machado for the Dodgers’ loss. This is a team game. He is one of the best players at his position, whether it is shortstop or third base. He makes any team better and I think if he becomes a Yankee, the fan base will rally around him. At the end of the day, he’ll only want the same thing we want, a World Series championship. We’re going to boo him for that? In my post yesterday, I predicted Manny’s decision will come on Tuesday, January 8th. However, that was under the assumption final offers had not been submitted. If, in fact, the Yankees, White Sox, and Phillies have submitted their best and final offers to Machado’s agent, Dan Lozano, I’ll revise my decision date to Friday, January 4th. Next week should be an eventful one. We’ll see. Either way, I am glad the Machado speculation is coming to an end. I saw the blurb this morning in MLB Trade Rumors about the Texas Rangers and their trade of Jurickson Profar to the Oakland A’s. In the post today, Gerry Fraley, Rangers beat writer for The Dallas Morning News, is quoted as saying “The Yankees were interested in Profar as a stopgap player while Gregorius recovers but weren’t willing to give up much”. I figured the Yankees could have put together a prospect package that rivaled the one received from the A’s but this indicates the Yankees were not as sold on Profar as we thought. Fraley goes on to say Profar’s throwing problems will not be as obvious at second (he had 24 errors last season at third and shortstop) but the Yankees do not need a permanent second baseman (they already have great one) and the last thing they need is another defensively-challenged infielder. I like Profar and continue to hope he can fulfill the promise he once held as the top prospect in the game, but it sounds like the Yankees made the right decision to pass. The Sonny Gray to the Brewers talk seems to be picking up steam again. For Sonny, I think it would be a great opportunity. The Brewers have a good, young team and it’s obviously a winning environment right now. Sonny could prosper in Milwaukee. As for a potential return, I’ve heard Corey Knebel’s name. I know 2018 was a struggle for the Brewers’ closer and it included time in the minor leagues to find himself again, but I like Knebel and I think he’d be a good addition to the bullpen. Another potential name is first baseman/outfielder Eric Thames, but man, that would really be a pronunciation conflict with Yankees hitting coach Marcus Thames. Seriously, Thames would be a good add but it would spell the end for Greg Bird and I am not sure the Yankees are ready to break that bond yet. Bryan Van Dusen (@Bryan_TGP) posted this comment on Twitter this morning: “All this talk about Manny Machado, and I’m just hoping that Brett Gardner is not the regular left fielder this season. Although, I’m looking out for Clint Frazier, as I wouldn’t be surprised if he became the regular left fielder sometime during the season (assuming no Bryce)”. I agree with this 100%. There hasn’t been a lot of talk about Red Thunder and I know everyone wants to see if he can stay healthy, but I am really hoping that Frazier can grab a starting role through his performance. I think everyone loves Gardy and he has been a great Yankee but the truth is he is not the player he once was. He can still be a very good fourth outfielder but the team should not depend upon him in the starting outfield when there are better options. Frazier, clearly, can be the better option. On MLB Network yesterday, one of their predictions for the new year was the Yankees’ acquisition of LHP Madison Bumgarner at the trading deadline. That’s one I could really get into. I know there’s been a lot of talk and speculation about MadBum but everyone expects the Giants to try and get their best deal in July. This is one that I hope the Yankees are positioning themselves for, especially if MadBum stays healthy. The Giants love Bumgarner, but new President of Baseball Operations Farhan Zaidi will make a decision that is in the best interests of the Giants organization for the long run. The odds MadBum will be traded are as great as they’ve ever been. I’d love to see him playing in October again. I am so tired of the World Series highlights that are continually replayed as the end of the year approaches. Can we turn the page already? The Red Sox are so yesterday’s news. According to Dan Clark on Twitter, blue check verified sports writer that covers the Baltimore Orioles (and who follows me, so he can't be that bad), all final offers have been submitted to Manny Machado to mull over. 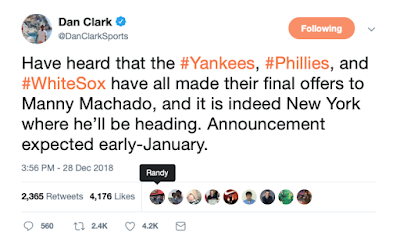 Clark goes on to say that Machado has chosen the Yankees deal and is expected to announce the deal after the new year.